I’m sure it would not surprise you to learn that a tremendous number of Star Wars-themed knitting patterns have thus popped up. Happily, many of these are free! 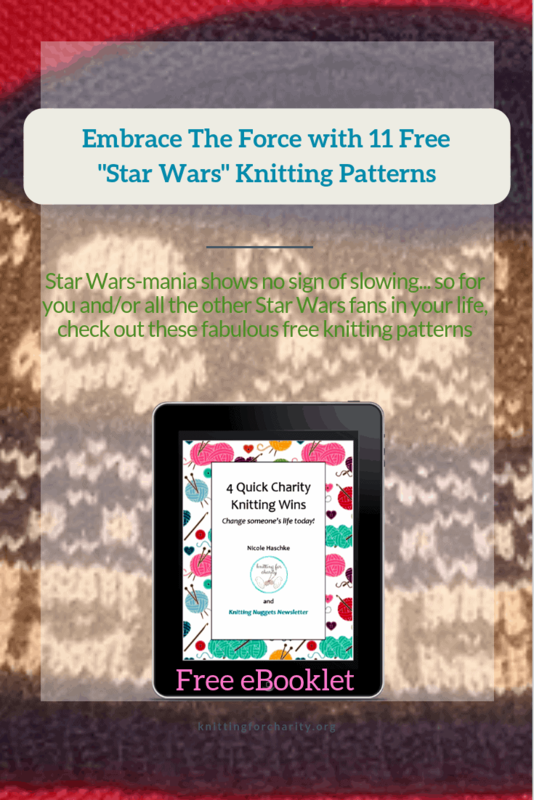 Also as of this writing, Ravelry currently shows a whopping 55 free knitting patterns for Star Wars-themed items! Here you’ll find a collection of 12 of the most fun and most popular patterns available. In addition, there are so many Yoda-themed patterns that I have a separate post dedicated solely to Yoda patterns! Excited I am. Excited I hope you are too. 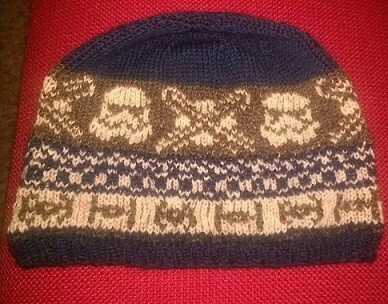 The Force Awakens Hat: This is by far the most popular Star Wars-themed knitting project on Ravelry. Over 1,000 knitters have already at least started this pattern; over 800 have actually finished! One look at this pattern and you’ll see why it’s so popular: it’s cute, it’s fun, and it uses colorwork that is a lot easier than it looks. And now you know how I can be certain the colorwork is far easier than it looks. This is the most colorwork I’ve ever attempted in a single project, and I think it turned out great! Star Wars Double Knit Scarf: Personally I think this scarf should be called “The Force Scarf” because it has a light side and a dark side (get it?) thanks to double knitting. The link here goes to a blog post with 3 charts, which you’ll click to one at a time, from left to right. Click the “double knitting technique” link at the beginning of the post for a refresher on double knitting. 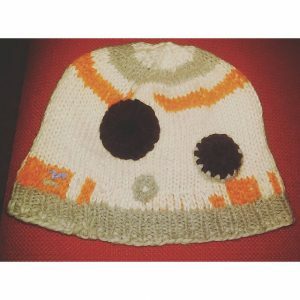 R2D2 Beanie: Earlier I called “The Force Awakens Hat” the most popular Star Wars-themed pattern online; this one might just top that if you go by the designer’s plea for mercy at the beginning of the blog post where this pattern appears. 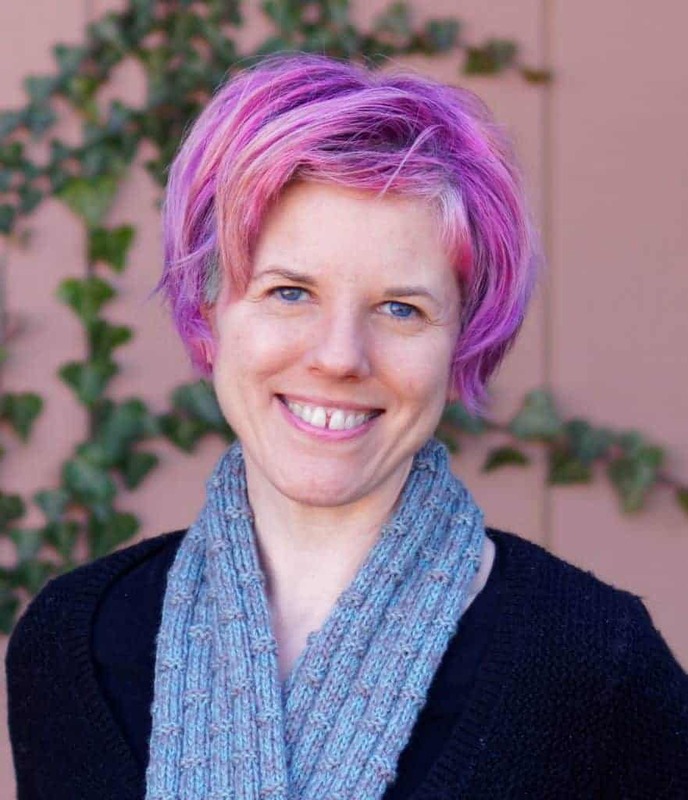 Apparently she received so many requests to knit the hat that she eventually had to cry “uncle!” and beg readers to either find someone near them who would be willing to knit it for them, or learn to knit themselves. Now that’s a popular pattern! It’s as easy to see why this beanie is popular as it was to understand for “The Force Awakens.” R2D2 is an adorable droid, and this beanie – complete with 3D elements – is a worthy representation. Storm Trooper Beanie: It’s a beanie with Storm Trooper motifs created through stranded knitting. This is probably easier than “The Force Awakens” since there are more repeating elements, so if you want to try stranded knitting for the first time, this would be a good hat to knit. Star Wars Knit Charts: A collection of Star Wars motif square charts, these can be used as anything from singly as coasters or washcloths to sewn together into a scarf or an afghan. In addition to the one linked to above, you can find another web page with more Star Wars charts here. BB8 Droid from Star Wars: My personal favorite character in The Force Awakens was this little droid, and now you can create him as a cuddly stuffed toy. A perfect gift for a child (or an adult unashamed to own his/her own personal Star Wars mascot). Lightsaber Chapstick Cozie: Why not make your lip balm 100% cooler by popping a lightsaber cozy over it? Felted Lightsaber: How cute is this! Makes a great toy for kiddos or a prop for a Halloween costume. Mace Windu’s Jedi Lightsaber: Another lightsaber pattern, but this one isn’t felted. A good choice for those who don’t like felting (or don’t have wool yarn on hand). Ready for Yoda patterns, are you? Here’s the accompanying post, where you’ll get all the Yoda knitting you can handle!